Bone Harvester Scrapper Straight. 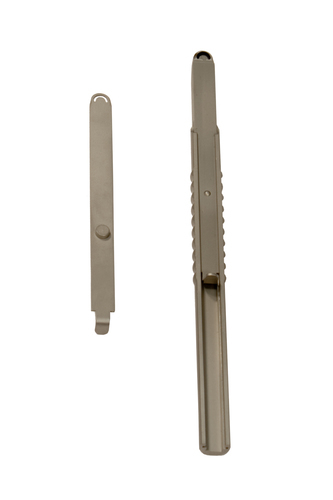 The bone scraper is an ideal tool for quick and easy harvesting autologousbone material. It is used for scraping, collection and transplantation ofautologous bone. During the scraping of the bone is collected in a catching device and simultaneously mixed with the blood. The bone material can be implanted directly. Often the collected bone material is mixed with bone grafting and bone graft material to use their osteoinductive effect.